optimisation through the science of data. – restaurants, conference centres, etc. A full health check is done on your current business practices aligned with revenue optimisation. We measure this against industry best practices and then propose changes to be made to get you more in line and to increase profits. Once we have identified our gap to optimal revenue optimisation we put a strategic plan together on how to bridge the gap, including a 3-5 year budget plan, timelines and deliverables. We perform a full gap analysis of your revenue optimisation technology. With the correct technology, we free up time for revenue managers to do critical thinking, driving strategies, optimising opportunities and analysing results. Revenue Resolutions shares its knowledge and skills with key staff members to develop them into revenue optimisation enthusiasts so that the strategy we have implemented can carry on once we leave. We help scope your future for the next level of enhancements and continuously update you with information on industry developments within revenue optimisation. We offer a range of monthly fixed cost retainer packages to help you find a revenue management solution that is affordable and fit-for-purpose. HOW CAN I HELP YOUR BUSINESS GROW IT'S REVENUE? 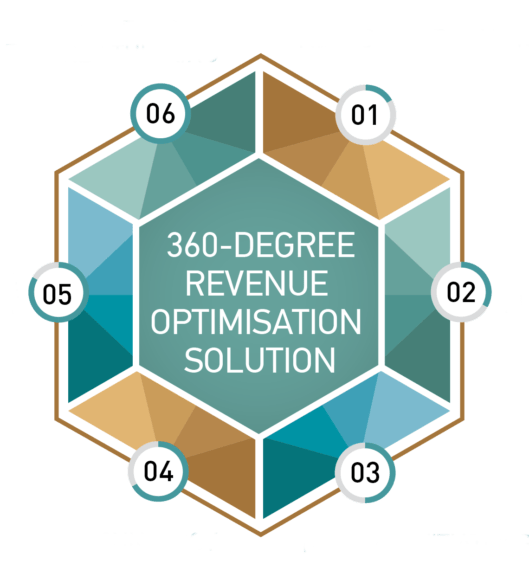 As an experienced Revenue Management Specialist, I offer a full 360-degree revenue optimisation service that is data-driven and based on proven scientific models. From an introductory audit of your exisiting practices to the implementation of a target-orientated strategic plan, I work with you to ensure that you are using every opportunity available to grow your bottom line. I share my expertise and skills with property-owners and their management teams through a range of customised once-off or ongoing training courses and workshops focusing on the unique know-how needed to interpret customer trends and behaviours and their influence on your profitability. Having worked with a number of well-known brands across South Africa, I have a proven track record improving their ability to increase revenue generation through tried-and-tested revenue management practices. I offer your business 15 years of tactical and strategic Revenue Management Experience in some of South Africa’s top hotels. With 13 years of user experience on the IDEAS Revenue Management System, I have become a leader in software integration for revenue optimisation. I have an expertise in system configuration (i.e. Micros: Opera, S&C and Simphony, IDeaS, Sabre Hospitality Solutions, SiteMinder, etc) with the focus on revenue results and training in Revenue Concepts, Metrics and Analytics. Are you unsure about how your business will benefit from Revenue Management Services? Book a free 30-minute Discovery Call with Revenue Resolutions at your convenience. Whether it’s over Skype or voice call, I am available to discuss the benefits of revenue optimisation, consultation services, training and most importantly, how you can use my skills to grow your bottom line. Simply click the button below to reserve a slot. Can You ‘Afford’ Not To Be Revenue Savvy as an Independent Hotel? Revenue Management, although a well-established discipline in the industry for more than a decade now, is a misunderstood, if not entirely absent, concept in many hotels. Decision-makers know that they need a revenue management strategy, but they are either confused as to exactly why and what revenue management can do for the business or perceive this to be something only major hotel chains can afford. There are so many influencing factors to consider when setting a budget. It is a lengthy, but worthwhile exercise. The aim is always to: grow the business, set a realistic budget and get it as accurate as possible.